Because of weak neck muscles it is recommended to use only special harness to walk your cat on a lead. Most cat harnesses can be adjusted individually. The lead has to be at least 2 to 2.5 metres long, to allow the cat to move freely around a certain area. You can set the size as follows. Put the harness around your cat's neck and chest. 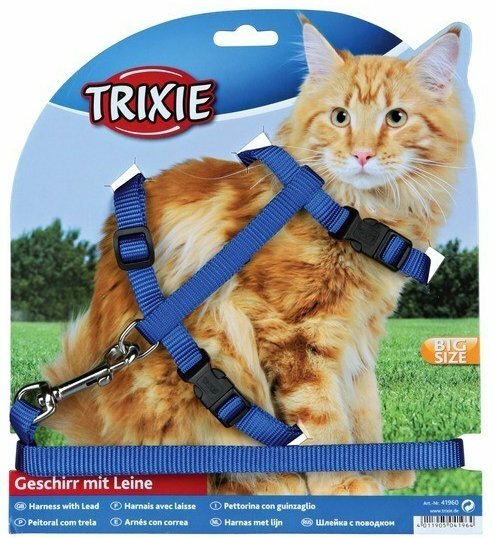 You should be able to fit two fingers between the harness and the cat's body. Colour selection is not possible. It depends on availability of stock.